Maybe last night wasn’t Thursday, my traditional cookie baking night, but since the do-over fairy let me down yesterday, I kicked customary to the curb and made a batch of oatmeal chocolate chips anyway. As it turns out, in respectable golf (which I admittedly have little experience with), you only get to take a mulligan in certain circumstances. 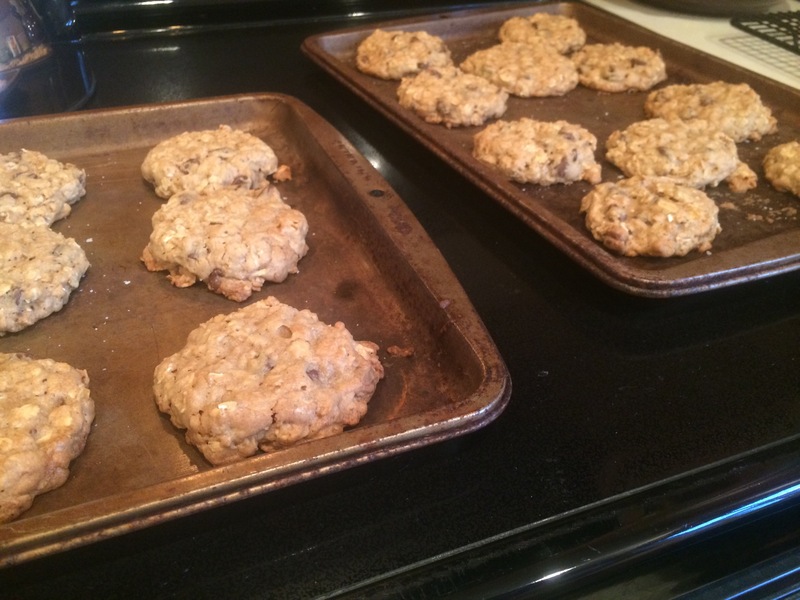 But if you know just a tiny, tablespoon-full of baking, you can pretty much cookie anytime. And, let’s face it, cookies are generally a more reliable fix for your day anyway. Even when it isn’t Thursday. Right? I give mine a healthy dose of salt on top before they go in the oven and it’s pretty much the best thing ever. Couldn’t agree more about cookie baking!!! !